A mind map is a visual representation or diagram of information that has a central idea surrounded by connected branches of associated topics. Tony Buzan, the inventor of the Mind Map, asserts that Mind Mapping is a powerful graphic technique which provides a universal key to unlock the potential of the brain. He believes it harnesses the full range of cortical skills – word, image, number, logic, rhythm, color and spatial awareness – allowing you the freedom to roam the infinite expanses of your brain. 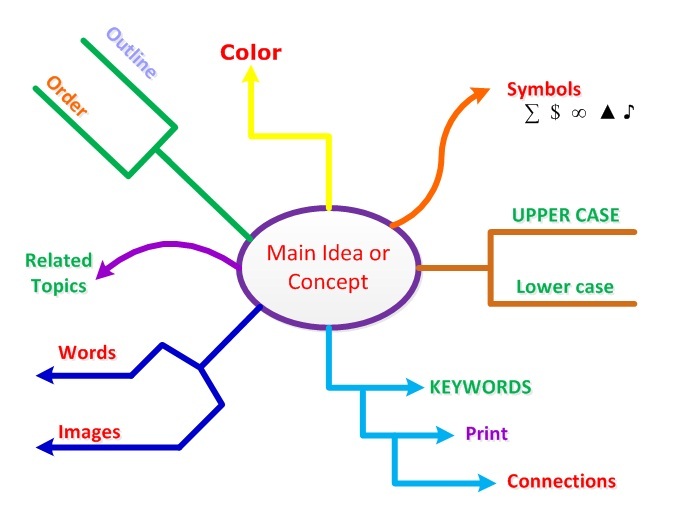 A mind map or concept map is usually a multi-colored diagram displayed on a large sheet of paper, containing words and images that are connected in various ways. The information on a mind map is arranged intuitively according to the importance of the concepts. It organizes ideas and information around a central theme or topic. Additional ideas or concepts radiate in the form of branches from that central theme or topic. The branches are created to represent connections and relationships between portions of information. Branches are a reflection of the way the human brain thinks, creating associations and connection to improve memory. Each branch holds a key word and/or image that are connected to the central theme. Additional ideas radiate from those branches forming a “nodal” structure. Mind mapping is beneficial in that it helps individuals to practice harmonious whole brain thinking that brings together left and right brain thinking. Mind Maps utilizes the left brain’s analytical functions such as words, sequencing, and association as well as the holistic and spatial right brain functions like symbols, color, and creativity. Mind maps can be used as a very effective visual method of taking notes. Mind maps allow for greater creativity when writing down information, as well as allowing the note-taker to associate both words and visual images with concepts. 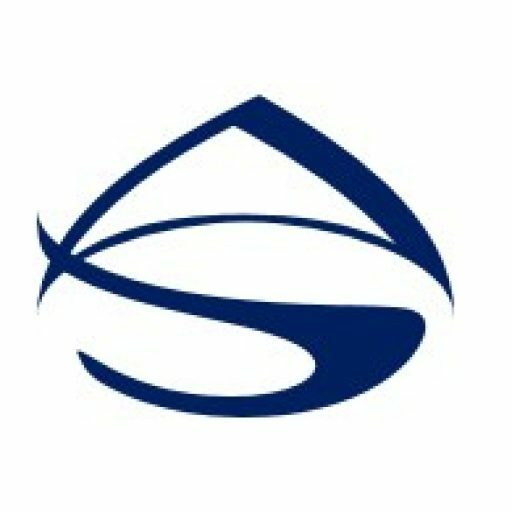 The mind map flow allows the note-taker to write down information where it best connects to the other topics, versus the traditional linear way which forces the note-taker to record information in a linear sequential way. Mind maps approach and visual design also helps to enhance ideas and increase mental retention through the use of colors and symbols. The maps have a multi-branch format, with secondary ideas branching off the main idea into sub-sections. A mind map will have key topic lines radiating in all directions from the main topic, with sub-topics and facts branching out from them. The visual design is similar to the way limbs, branches, and twigs extend from the trunk of a tree. The human brain works with all five senses which help form the basis of memory. It can be more difficult to remember information obtained through traditional note taking, since it relies solely on words and ideas to be presented in a linear fashion. Mind maps, on the other hand, are more of a visual pictorial, thus helping associations to be made easier. The brain makes associations in order to learn new concepts and connect them to known concepts or facts, thus using lines to connect ideas can enhance memory. Also, since traditional note taking is typically done only in a single color, it is harder to remember information that is recorded. Essentially, color, symbols, images, key words, associative links, and visual depiction all make a mind map much more memorable than traditional linear notes. The creative potential of mind mapping can be very useful for brainstorming. Mind maps encourage people to generate new ideas and create connections between different ideas or concepts by presenting new ideas in a natural, spontaneous, graphical, and non-linear manner. To use the Mind Mapping approach to brain storming, start with the basic problem as the center of the paper, and then generate ideas/options to obtain at number of different possible solutions. The Mind Map approach allows individuals to connect concepts without forcing them into a specific conceptual framework. The ideas often naturally flow in different directions, hence generating a multiplied of options. Using color, symbols, and images can help to stimulate imagination and generate more creative solutions.